While The Hermitage Amsterdam is busy preparing for the reception of the ‘Dutch Masters from st. Petersburg’, Omsk is working hard on a new, Siberian department of the Hermitage. The opening exhibition is planned in 2018: Tsar Peter the Great! Lia Gorter was given a grand tour this summer of the Hermitage Siberia, which was then still being built, with museum director Yuri Trofimov, who is the driving force behind the Masterclasses for restorers in Omsk. Her guide was the same Yuri, who was shortly before named Minister of Culture of the Oblask Omsk. The building, located in the aptly renamed Museum Street, will also contain the new restoration centre for the joined Siberian museums. 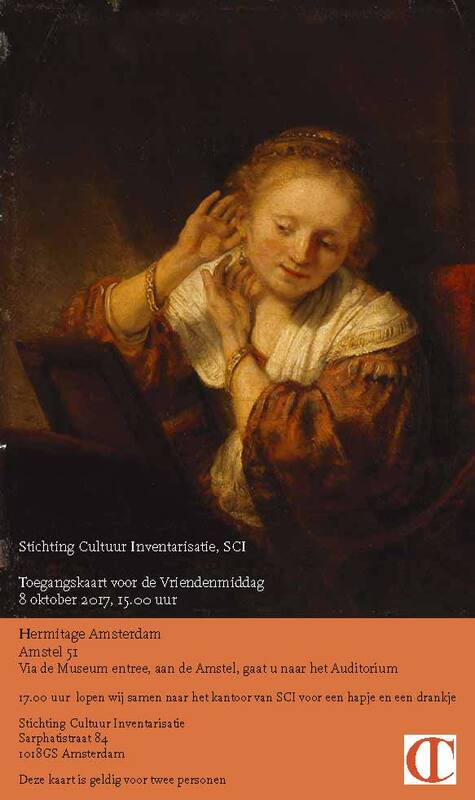 On October 8th, shortly after the opening of the ‘Dutch Masters’ from The Hermitage, SCI organizes a ‘Vriendenmiddag’. First you can visit the exhibition, and we will do a follow-up with lectures by art historians Bernard Vermet, Birgit Boelens, Christiaan Vogelaar and Gary Schwartz. Friends, or aspiring Friends, are very welcome.